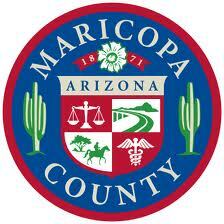 Did you know that there are more people in Maricopa County Arizona than any other county in the state of Arizona? That means there are more law enforcement officers. That also means if you got a traffic citation in Phoenix, Glendale. Goodyear, Mesa, Scottsdale, Temple or one of the other communities within the county, you are far from being alone. Who would have thought? It may not even seem fair after all. Maricopa County does have over 9,000 square miles of space, many of those with open highways. Well, there is some good news. There is something called online traffic school, and the internationally acclaimed, An Online Defensive Driving Course by the world famous Improv Comedy Club is here to help. Pay attention friends. By completing an approved Arizona defensive driving class you have the opportunity to redact some of your driving discretions by attending an approved Maricopa County AZ defensive driving course. That means that Arizona lets you get off the hook just by taking a driver's education course. Are you ready for this? The course can be taken online. But there’s more and here it comes. An Online Defensive Driving Course by Improv Comedy Club has a state approved traffic course you can take that makes the ordeal not only bearable but enjoyable. Jokes, stories, interesting tidbits and the chance to reduce points and save money on your insurance? Yep. Before you get signed up let’s talk about details. The benefits of an online traffic school are numerous. Let us count the ways. There is no court appearance is required. The charge will ultimately be dismissed. There will be no fine for the charge. There are three ways an Pima County AZ defensive driving course can help you. Traffic Ticket Diversion. Easy as pie you see. Your traffic citation gets dismissed with no points on your license just for completion. What's not to love? Court Ordered. We can help you take care of your obligation to the state, keep you out of further trouble and save you cash. Now, how much would you pay? Insurance Rate Reduction. This may be the best part. You can actually save money on your Arizona automobile insurance premiums by taking an Arizona defensive driving course. The amount you save is likely to be much more than the cost of the course! Check with your insurance company for details but this seems like a no-brainer. Improv's Arizona traffic school course is 100% online and provides for unlimited login/logout privileges. That means you can take your Arizona online defensive driving course at your convenience, even over a period of days or weeks. You can work it anywhere you have internet access. Comedy defensive driving? Look, we've all seen those drivers out there in Arizona and sometimes it's better to laugh anyway, so why not? Our classes are priced at the lowest allowable by law and include reporting your successful completion to the Maricopa County Court. Your certificate of completion is included absolutely free for you and can be downloaded as soon as 30 minutes after your completion. A code noted on your citation corresponds with one indicated in the fines/sanctions schedule. The traffic charge did not involve a death or a serious injury. Your traffic charge has not been paid or set for a trial or hearing. You have not taken advantage of a defensive driving class for the dismissal of a traffic citation that you received in Arizona in the past two years. Read all of your traffic ticket. Check out the "Notice to Appear" date as this will be your deadline to respond. There are big problems ahead if you fail to appear or contact the court on the date listed. It could result in a warrant for your arrest, driver's license suspension and additional financial penalties. Do not pay the traffic citation fine to the court. If you pay the fine it is an indication that you do NOT wish to attend traffic driving school. The traffic school will collect the court diversion fees, state fees and state surcharges and they will get these funds to the courts on your behalf. Enroll in a state approved Arizona traffic school. The court requires you to be enrolled in class at least seven days before your appearance date. We suggest you enroll 10 days before your appearance date. This will allow you enough time for eligibility processing and to take the course. Submit the needed documents. Follow the instructions provided to you after registering for the course. This will verify your traffic school eligibility. Successfully complete the online course. Our simple 6-Hour course is fun and entertaining. It is something you can talk about on Facebook. Pay Your Fine. This means you are pleading guilty and your offense will be reported to the Arizona Motor Vehicle Division. You can request a trial or hearing date. This will contest the validity of your infraction in a court of law. Let's hope your eligible for Arizona driving school. It is SO much easier and pleasant.